Weddings are a pivotal turning point in any family history story. We recently released 33 million US marriage records in the first phase of our new collection, which when complete, will number over 100 million records spanning 360 years of American history. These records will help form connections for so many tracing their family history, and we hope that it will prove instrumental for the many whose family trees are extended across the Atlantic. But weddings, and all their associated tokens and accouterments, are more than connections made in family trees. They are a piece of your family's personality, and, as is so often the case when tracing your family history, the recollection of them can trigger many more reminiscences. We posted this picture of Queen Elizabeth and Prince Phillip's wedding cake on our Facebook page, and the response was overwhelming. "They had a photo on their wall of her and her siblings standing around the cake. I'd love to know if that still exists somewhere. 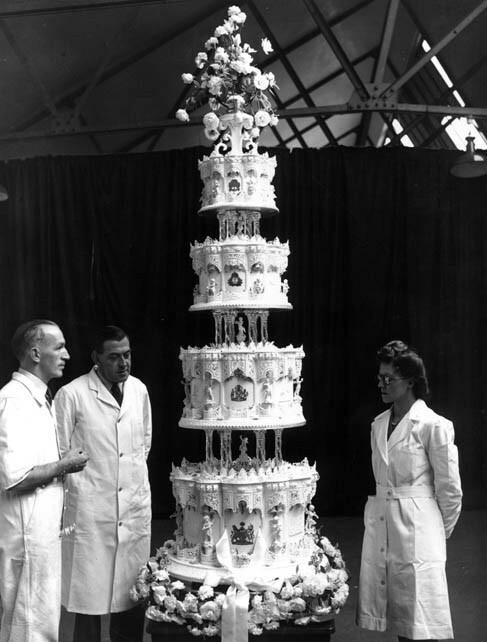 The cake is dated and looking at it closely is, we feel, a work of art"
The cake has clearly left a lasting impression, and Charles' skill remains a point of pride for the family, who are now spread across the world in England, Australia, and Canada. "Myself and Anne Banks are cousins, granddaughters of Madge daughter of Charles Hadwick," Pam explained. 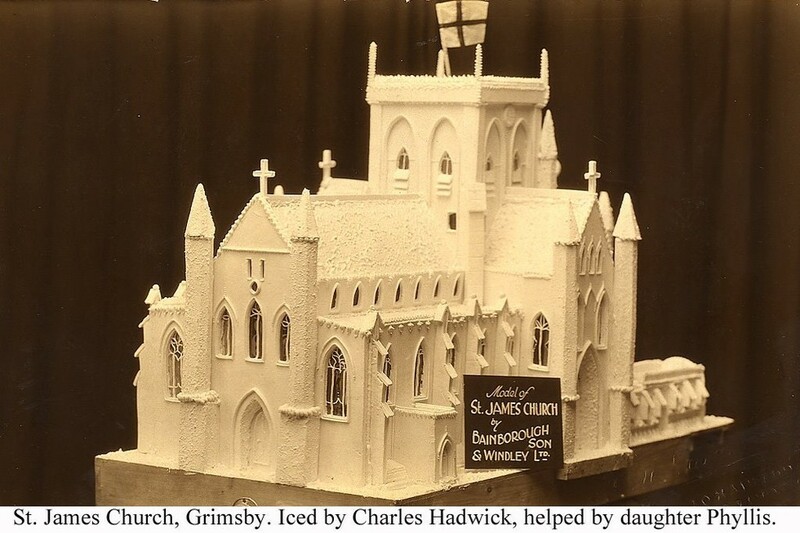 "Julie is also great granddaughter of Charles through Madge's sister Phyllis"
"Aunt Phyl made my parents' wedding cake (below) in 1948, as well as mum's wedding dress and bridesmaids dresses"
Anne added: "My Granddad Richard Banks sent this picture of a cake by Charles to me in the 1970s. Great Aunt Phyl also made my 17th birthday cake, as was in the UK for that one also. My dad made a lot of the shaped pieces of metal, (copper, if I recall) before he and mum came to Canada, that Phyl would put the greaseproof paper on, to build her filigree royal icing shapes on." Julie, also a great granddaughter of Charles through Madge's sister Phyllis, lives in Australia. Her mother and father emigrated to Canada in 1957. 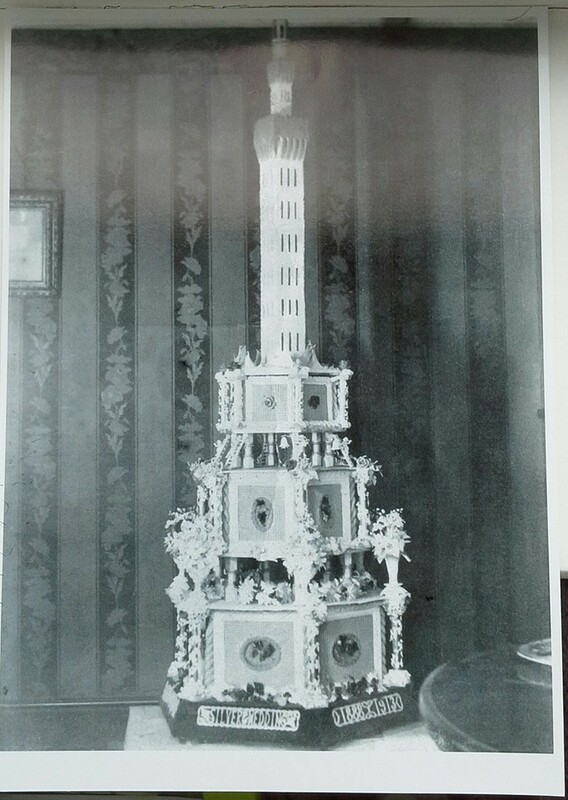 She added: "Charles made this [above] in 1913 for the silver wedding anniversary of Mr Bainborough - his employer." Koczar Koenig commented: "I believe my ancestor Mr Gunter made Queen Vitoria's wedding cake. He owned Gunter's Tea Room in Berkeley Square, via my maternal great grandmother, Minnie Gunter." A keen genealogist, Koczar has traced his family line back across centuries and continents, across the Atlantic to America. "The Gunter line is a very interesting one. It goes back to the origin of the name in England," explained Koczar, " to 'Sir Peter Gaunt d'Or' the 'Knight of the Golden Glove' around 1030. His ancestor fought against King William Rufus in the Revolt, but it did not succeed. He wasn't punished but instead aided in the conquest of the Breacons in Wales, where he was given lands, and changed the family name to "Gunter" after one of the seats of the family, Gunterstone. The family was there for some 600 years until the mid-late 1600s. There are many interesting Gunter characters. 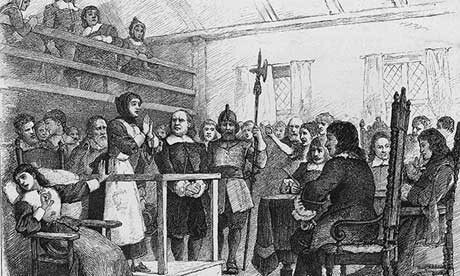 Anne Gunter - a supposed witch – was investigated around 1605. Later, Col. Gunter aided King Charles II in his from Cromwell's England. Finally, John Gunter, a Welsh man who went to the US around 1644, was the namesake for Guntersville, Alabama. He married a Cherokee Princess, daughter of the Chief of the Red Paint tribe?. She was said to be descended from the sister of Pocahontas. Their Great Grandson was Will Rogers, the famous actor and showman." 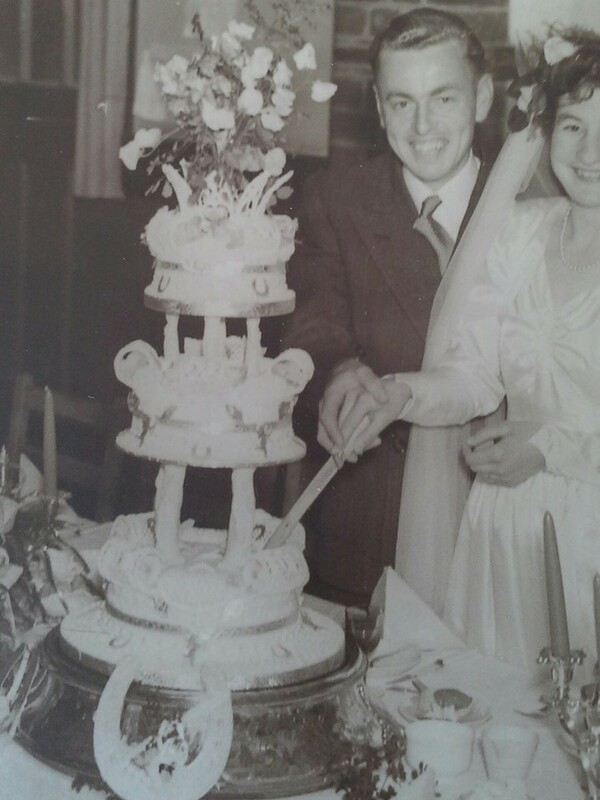 Nikki Shayler sent in the beautiful picture below, commenting: "This is my own wedding cake which was made by my Uncle Bill, who celebrated his 82nd birthday on my wedding day. 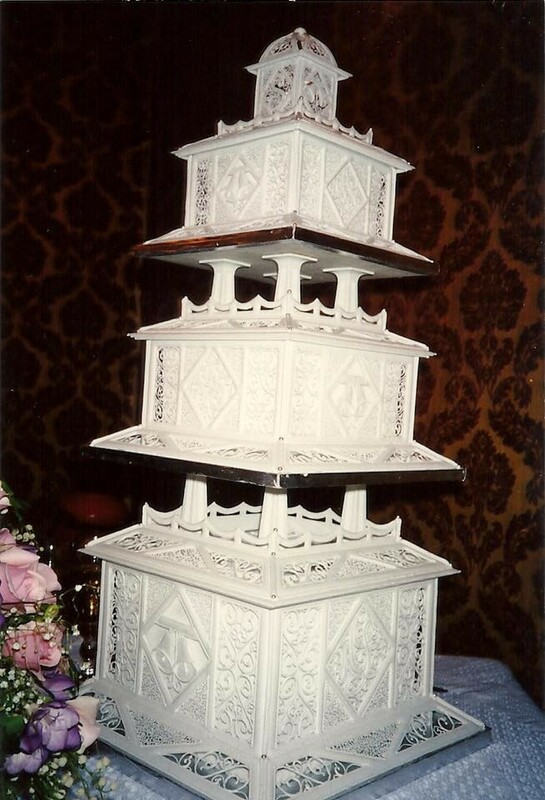 We still have parts of the icing panels and the bell tower (also made from royal icing) from the top of the cake 22 years later." 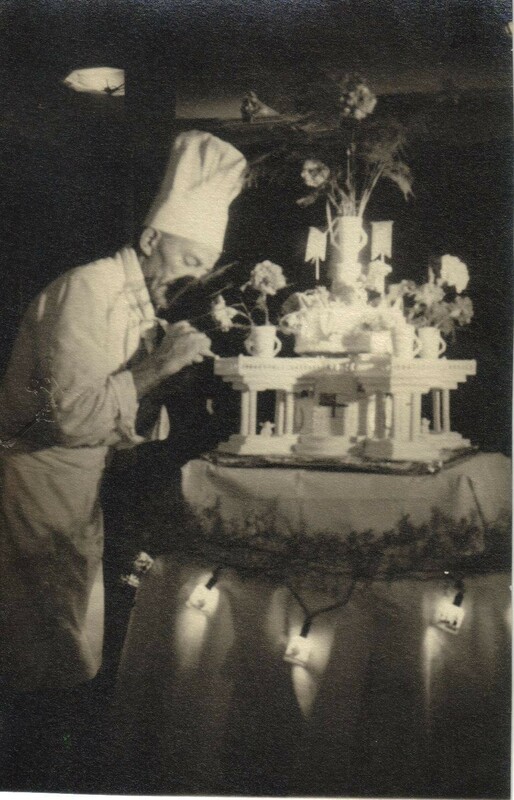 And Johnathan Burchill posted this, adding modestly: I I have this great picture of my Great Uncle Percy making the wedding cake for my Aunt & Uncle in 1951... alas I have none of those baking skills!" We always love hearing your family stories. Do you have any photos or heirlooms which have prompted a search for your ancestors in the records? Let us know at testimonials@findmypast.com - you may even see your story end up on the blog!